No Limits to Their Sway opens with French sailor and privateer Louis-Michel Aury attempting to reassure his family that “Caribbean privateers waged war in a ‘loyal’ fashion, just like sailors aboard navy ships” (1). In other words, Aury emphasized how his activities compromised neither his honour, nor that of his family. Aury’s concern stemmed from the fact that many people had a low opinion of privateers; often considering them mercenaries and pirates who operated under a thin tissue of legality. 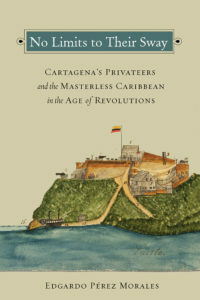 In an innovative and well-written book, historian Edgardo Pérez Morales, currently an assistant professor of history at the University of Southern California, analyzes privateering in independent Cartagena. Although the Republic of Cartagena only lasted from 1811 to 1815, it played a key role in early struggles for independence in Spanish America because of “its growing maritime connections, increasingly radical anti-Spanish leaders, and vibrant cosmopolitan dynamics” (6). Morales is fully engaged with important recent work on the Age of Revolutions. Like David Head’s Privateers of the Americas: Spanish American Privateering from the United States in the Early Republic(2015) and Caitlin Fitz’s Our Sister Republics: The United States in an Age of American Revolutions(2016), he explores the interplay between the United States and the new, albeit short-lived, republic of Cartagena. Although revolutionaries in Cartagena had a “somewhat romanticized perception of the American Revolution and the early republic,” nevertheless, “the United States, US citizens, and US-flagged ships did inspire and would directly influence the development of the State of Cartagena” (58). However, in a departure from Fitz and Head, Morales illustrates how privateers came from other countries and racial groups. In other words, they were not all white Anglos from the United States. The Frenchman Aury, of course, was a prime example. Haiti provided Cartagena with a significant amount of assistance and did more to sustain the revolution in Cartagena than the United States. Afro-Caribbeans made up a large percentage of privateer crews. Furthermore, Cartagena required foreign officers and sailors to become naturalized citizens. Thus, many Afro-Caribbeans became citizens of Cartagena and descendants of slaves and former slaves formed the backbone of the privateering policy. Critically, privateers lived liminal lives and often behaved in ways that contradicted the principles espoused by Cartagena. For instance, some “did indeed spread anti-Spanish sentiment and revolutionary ideas” but others “placed profit before principle, perhaps even participating in illegal slave trading in Cartagena” (95). One of the strengths of this book is the attention the author pays to the stories of individuals. 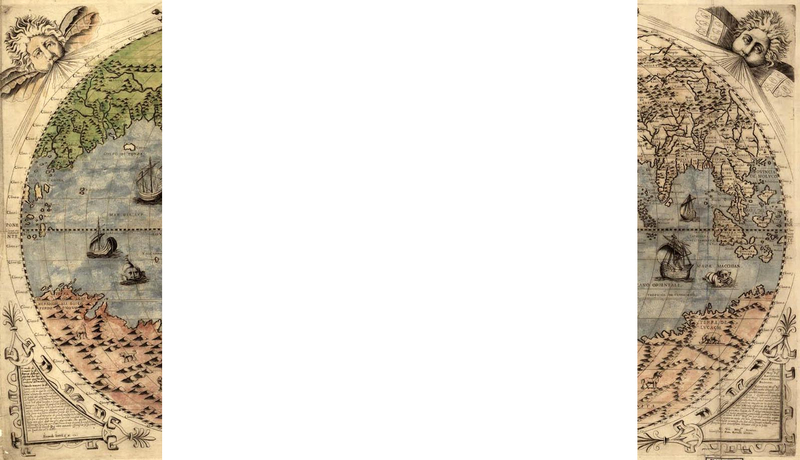 Thus, Aury becomes a prominent figure, as well as Afro-Caribbean privateers like Ignacio the Younger. Aury’s story did not have a happy ending. His men mutinied against him and left him for dead. He recovered and later went to Amelia Island to participate in a new privateering republic. The citizens of Cartagena did not demonstrate much gratitude toward Aury. A new government, the Republic of Colombia, firmly under the control of Simón Bolívar, rejected both Aury and Afro-Caribbean privateers. Bolívar himself wrote to Aury, “the Republic of Colombia has raised itself to the state of no longer needing any more privateers who degrade its flag in the seas of the world” (152). Although Aury and other privateers did much to sustain Cartagena’s revolution and weaken Spain by raiding Spanish shipping in and around Cuba, Bolívar’s response reflected fears that Colombia could be accused of sponsoring piracy and the misgivings of Colombians about Haitians. In sum, Cartagena’s experiences should prompt scholars to rethink the Age of Revolutions. “By bringing back into focus the border-crossers, the amphibious agents, the maritime heralds, and the many who straddled slavery and freedom,” Morales asserts, “the rejected hemispheric and maritime aspects of Spanish American independence come into full relief” (157). No Limits to Their Sway is a deeply researched and well-written contribution to the scholarly literature. It will appeal to both academic and non-academic audiences and will work well in upper-division undergraduate courses as well as graduate seminars.